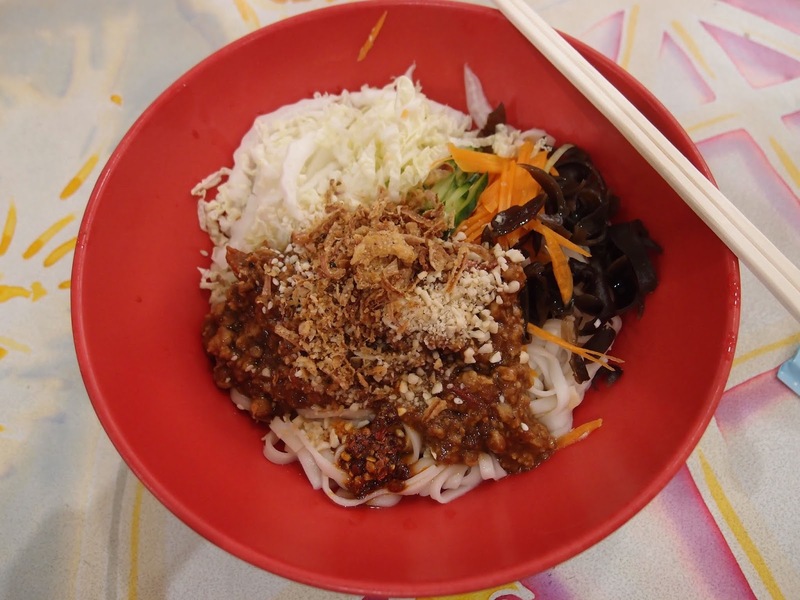 Broadway Food Court comes up with the noodle goods yet again with Xinruyi Chinese Streetfood. 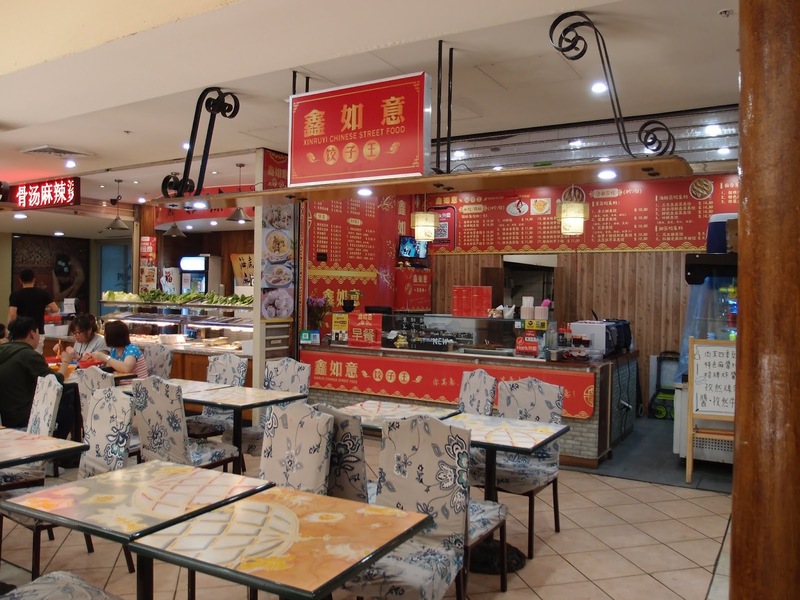 The latest stall change over at Broadway Food Court opens the door to Xinruyi Chinese Streetfood, taking up where QY Dumpling Bar ended. We spy dumplings and jianbing on the menu, and congee and soy milk breakfast choices. As usual, it's the noodles that get our cheeks puffing and those strands of noodle goodness are indeed excellent. So what makes these noodles so good? First of all the pork mince topping has a considerable amount of bean paste mixed into the sauce, giving an almost miso-tinge to it. It's the power of fermented flavours in action. We also pick up a real crunch from finely chopped fried garlic, onions and peanuts sprinkled liberally over the lot. With a handful of shredded black fungus and fresh cabbage, carrot and cucumber, this dish has more balance than an Olympic gymnast. So, can they improve on it? Well, why not add in a soup version with the same crunchy and fresh toppings and some shredded pork? Yes indeed, why not. The soup broth is a plain home-style flavour that gets slowly improved as the levels of soup are slurped. There's some sort of soup-as-medicine magic here, bound to help stave off what ails ya. Xinruyi Chinese Street Food is at Shop 11, 185 Broadway, Ultimo. Look at their full menu here on Hark Hark, so many interesting items we didn't see on the instore menu.